If you feel like you’re drowning in overdue bills, late fees, interest, and penalties, you’re not alone. Just recently, the SNP economics spokesman Stewart Hosie warned that household debt has increased 40% since last year. The dull ache of debt typically explodes into a full-on headache around this time of year. 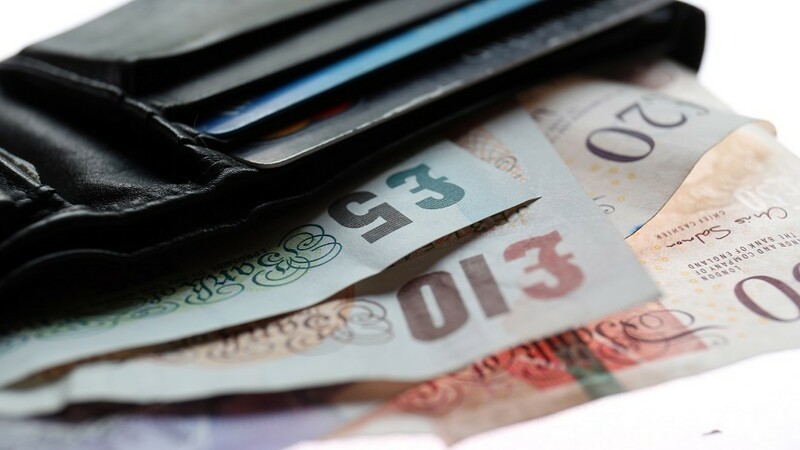 More than a third of people planned to borrow money to cover the cost of Christmas last year! For that reason, your awareness of your debt woes may well be sharper right now than usual. Plus, a new year should feel like a fresh start—and when you are in debt, that is the last thing you feel you have. But you can get a fresh start this year. You cannot wipe the slate clean overnight, but you can make the resolution right now to take real, concrete steps toward getting in control of your debts. We might be half-way through January already, but its never too late to commit to resolutions to tackle your debt. Even just committing to one or several of these will help you get back on your feet! Long-term debts: credit cards, personal and business loans, etc. Now it is time to get creative. Where can you afford to cut costs? Do you qualify for any kind of benefits? Get a new utilities provider? Drop your food costs with more budget-friendly recipes? Ruthlessly cut your expenses any way that you can. See if you can get to the point where your income matches or slightly exceeds your monthly expenses. Come up with a new monthly budget which details exactly how much you can spend on every category of expenses (food, utilities, gas, entertainment, etc.). Then commit to sticking to that budget every month! The money you spend is literally your hard work converted into a form you can spend. How you spend your money is how you spend your reward for hours of work. If you are fortunate enough to earn £10 an hour after tax, a £40 a month phone contract or £50 X-box game is equivalent to half a days work – is it worth it? If you look at things like this when you make your purchase you will rest assured, you aren’t throwing your money away. One very helpful practice for maintaining a budget is to ask for receipts every time you spend money. When you get home, promptly log them and total them up as you progress through the month. You can even break them into categories like those discussed above. That way you can see if you are on the mark or if you are overspending. Each month, you want to see progress making it back toward the black! If you spend money on various different credit cards and accounts you may find an online money tracker useful, such as Money Dashboard. Which debts are going to carry the worst consequences if you do not pay them off? Which will result in the highest interest and fees? Are you in imminent danger of losing a home or car? Take care of these high-priority debts first. Worry about the lower-priority debts later. Make 2016 the year you stop making those last-minute impulse buys! These are more tempting than ever with features like One-Click Buy on Amazon.com. This year, every time you find yourself about to make an impulse buy, resolve to think about the purchase for at least one week. If you still need the item a week later, you can buy it. You will be surprised how many impulse buys don’t sound half as tempting a week later! Many you may even forget about outright! But that is money back in your pocket. There is something about plastic that makes us feel like we are not really spending real money. Start withdrawing cash regularly and using it when shopping. You may be surprise how much more pain you feel parting with cold, hard cash. That pain may be enough to motivate you to only buy what you really need. Did you know that many credit card companies will offer you 0% interest for a year or longer if you transfer debt from an existing credit card and pay a nominal fee for the switch? That could amount to hundreds of pounds a year! Shop around for deals like these. Payday loans promise a quick fix in an emergency, but the excessive interest rates mean you’ll pay back later with an arm and a leg. For many, payday loans turn into a vicious cycle, driving them deeper and deeper down the spiral of debt. This year, resolve not to lean on payday loans anymore. If you rely on them on a regular basis, they are only dragging you down. You need to find a real and permanent solution to your debts. If it is all too much to handle, there is a chance that you both need and qualify for a formal debt solution such as a Government backed Debt Arrangement Scheme, a Trust Deed (in Scotland), or an IVA (in England) or in more serious cases Bankruptcy. Most people have no idea that there is legislation in place to help them get back on their feet. Let 2016 be the year that you get help if you need it. Take care of yourself and your family. Reach out to a qualified provider for debt advice which could change your life for the better. You may be surprised; a fresh start could be closer than you think! For expert debt advice visit CarringtonDean.com.